Today’s post is guest post by our summer worker Steven Berkenpas who is entering his final year at Regent College. 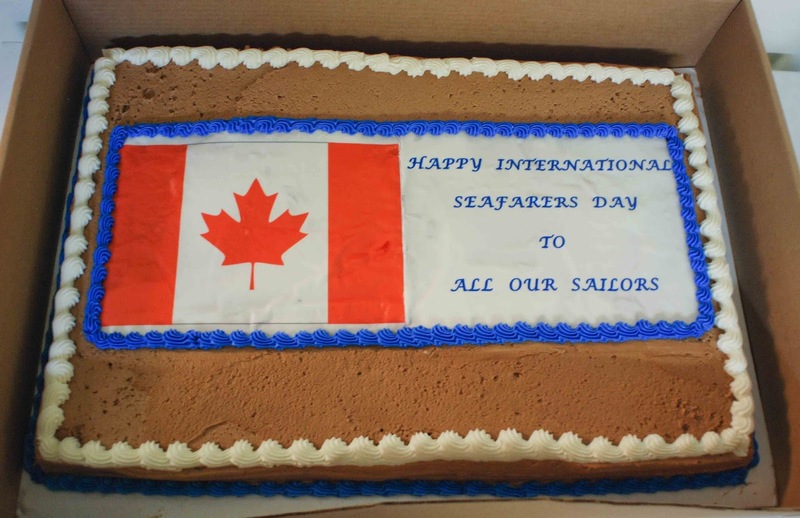 On June 25th we celebrated the Day of the Seafarer – an international day of appreciation for the seafarers and the sacrifices they make to keep the industry running. At Robert’s Bank we did our part by hosting a Barbeque complete with live music, free draw prizes, and of course free internet. 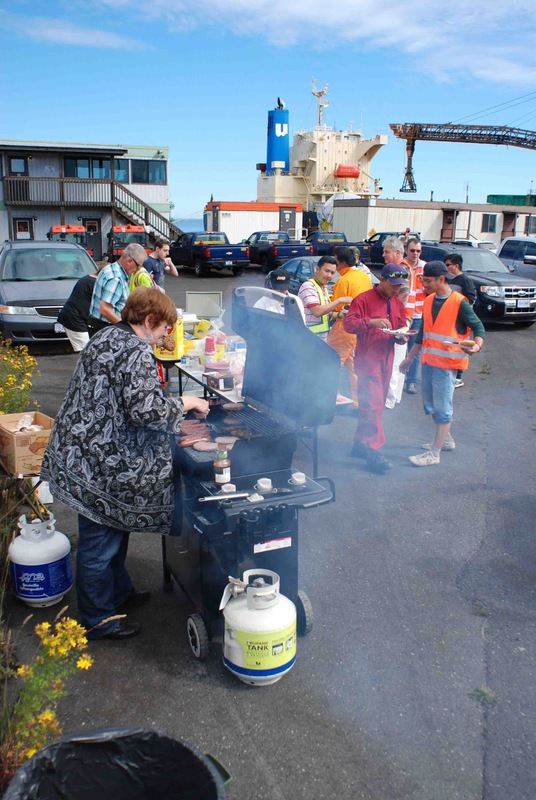 We had a great time and a good turn out with over 65 seafarer’s joining us for the evening. A highlight of mine was seeing one of the seafarer’s (pictured below) react very enthusiastically to winning his prize. When I went over to congratulate him later and see what he eventually picked out, he showed me some cucumbers and red peppers (I guess he saw some leftovers from the barbeque and asked if he could have some of those) and a Canada mug. His attitude was infectious as the table next to him with about 8 seafarers huddled around it became the most enthusiastic in their applause for the music. 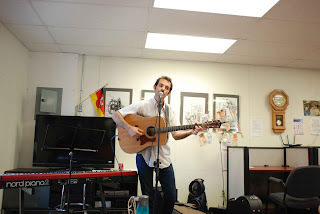 Another highlight of mine was having some of my friends from Regent come and play some songs. 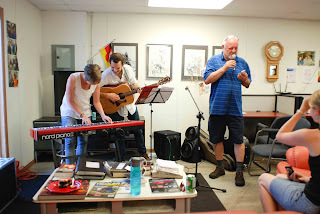 I joined in and played some covers throughout the evening, but I enjoyed their performances a little more when I could sit back, relax, and enjoy their music. A big thank you to Chris Campanili (who you can listen to by clicking here) and Lydia Collin for her wonderful work on the keyboard. They were both wonderful and very accommodating when suggestions starting coming from the crowd – they even opened up the mic for some impromptu karaoke! Chris playing a song on his own to start us off for the evening! Chris and Lydia figuring out the chords while Ernst gets a good look at the lyrics for some impromptu karaoke. One last, but important detail - June 25th was an extra special day for Ernst Devries as he became a Canadian citizen that morning! When it was time for cake we had one for seafarers and another for him, needless to say we had a couple left over pieces of cake for the seafarers that evening. More information and details can be found on our Facebook album by clicking here!